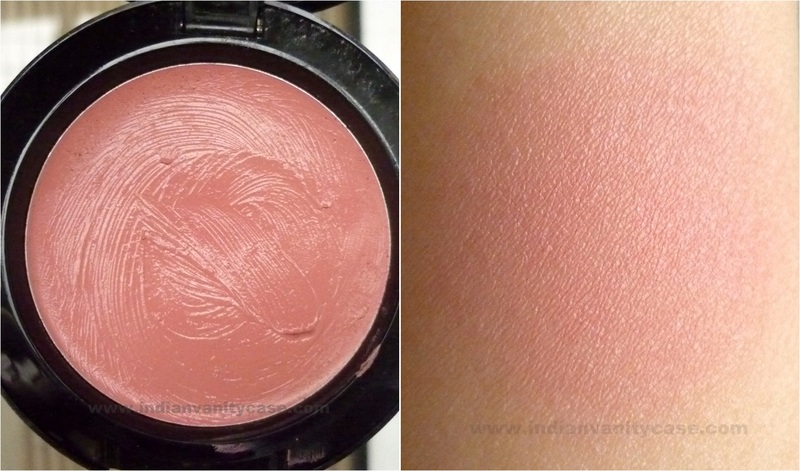 Cream blushes are my favorite kind of blushes these days, 'coz the weather is making my skin quite dry and lacklustre. 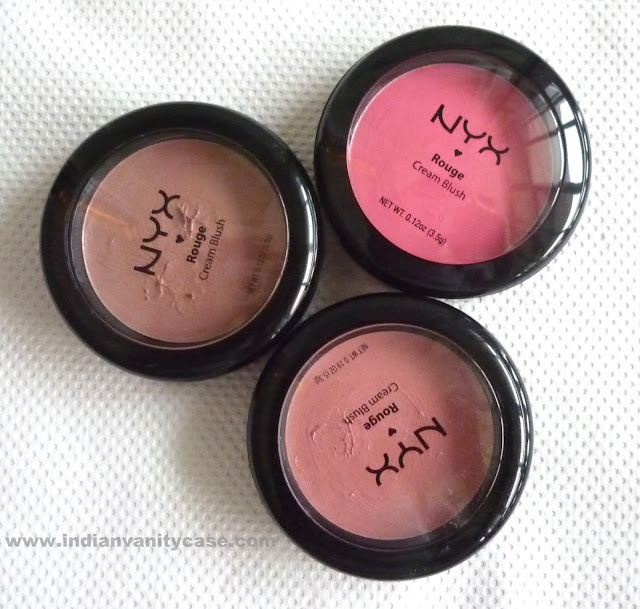 Nyx Rouge Cream Blushes are some of my favorite blushes ever. I love them to bits! 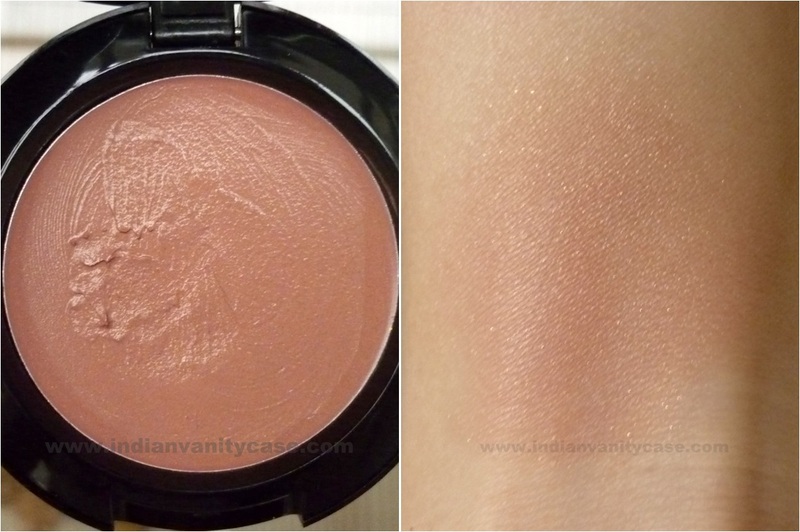 Pretty shades, pigmented, creamy, and blend easily, not to mention reasonably priced too. Thumbs up on the MAC-like black packaging too. 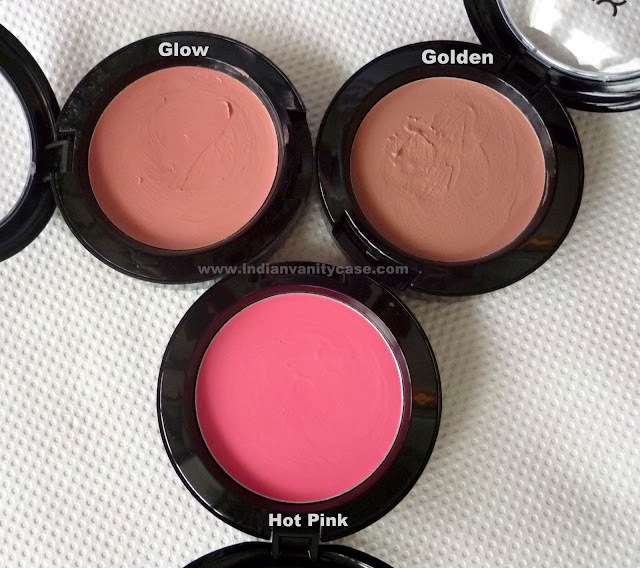 I just own 3 right now ~ Hot Pink, Golden & Glow. I ♥ 'em all! HOT PINK ~ Bright pink. 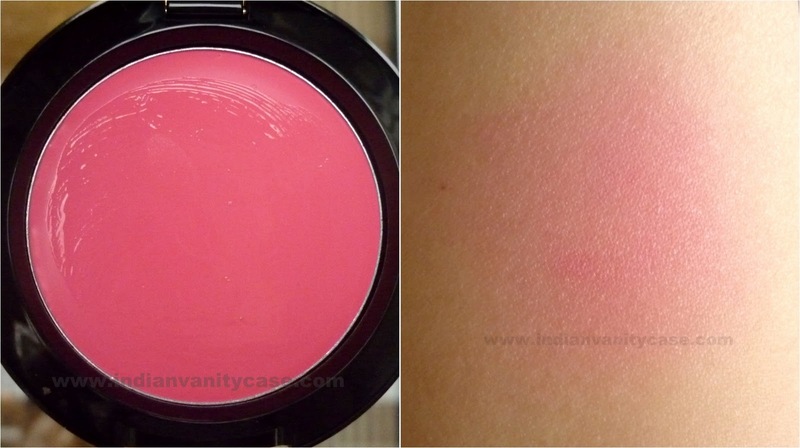 This looks intense in the pan, but when you apply it, it's comes out a very pretty wearable bubblegum pink. How to Apply: Best applied with a stippling brush or fingers. i so like cream blushes but got super oily skin nowadays..they look so prettyy. I have these in Tea Rose and Boho Chic. I like Tea Rose but Boho Chic has these shimmers that transfer to all over my face. I'm guessing Golden is like that as well? :/ The shade looks pretty tough. :) I want to get Hot Pink next! All of them look great Cynthia! Is glow a more blue based? I was thinking of getting it and now I am doubtful? Fifi~ My first choice was Boho Chic but it wasn't available. Ya Golden is shimmery, but so far I haven't had a prob with it. I want Tea Rose too! 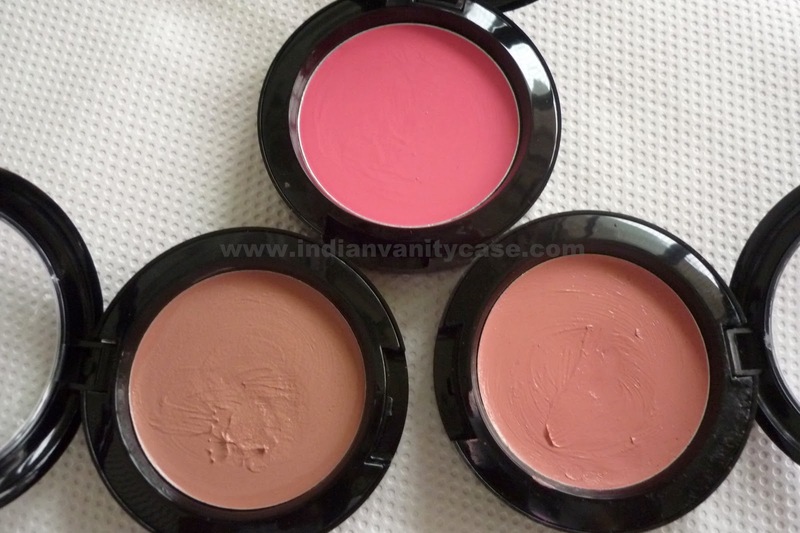 Ive been scared to try cream blushes but those are gorgeous!! why don't you show us how these makeup products look on you...?? Aisyah~ Orange looks fab too! I love golden, it's gorgeous! They all look so amazing, especially golden. I just dont like cream blushes which come in a pan, too much bacteria crap...but the colors are lovely. I am a beginner in blushes and have oily skin. So should I start with Lakme blush trio(gypsy collection) or above NYX pans? 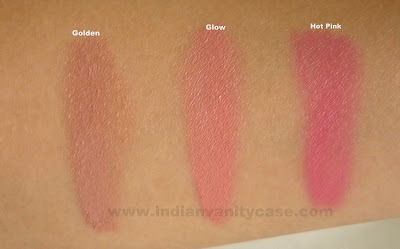 loved glow...i thnk tanveer also has glow..
are these shades available in NYX powder blush??? Cynthia How is that "Golden" Shade???? Is that pigmented enough to use as Blush on??? I have heard that its kinda Sheer so it cannot b use as Blush rather use as Highlighter ??? ?